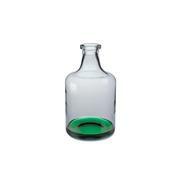 Glass bottle with large, 106mm (4.2") ID opening and GL120 thread. 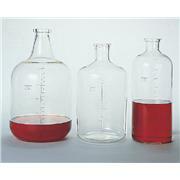 The 9.5 liter and 13.25 liter sizes are bottle shaped. 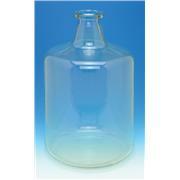 The 19 liter and 45.5 liter sizes are similar in design to a carboy. 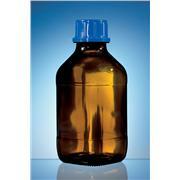 7622-155 PTFE cap with CAPFE o-ring is sold separately. 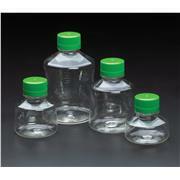 KIMAX bottles conform to ASTM E438, Type 1, Class A glass. 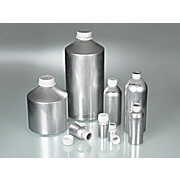 Safety coating reduces breakage Not autoclavable Bottle is coated with plastisol to reduce bottle breakage and chemical spills. 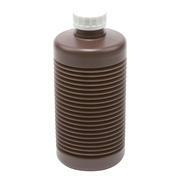 When used under low, positive pressure it reduces the risk of failure. 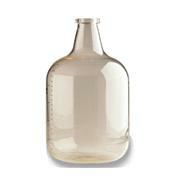 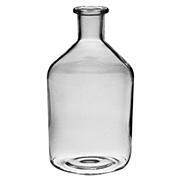 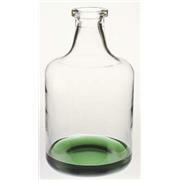 Bottle is manufactured from low extractable Wheaton borosilicate glass and are not autoclavable.